1975 – I built my first full-face helmet and the first motorcycle fairings out of fiberglass. 1977 – after winning a series of selection competitions, I was accepted in the IIRUC motor team, the greatest racing club at the time, coach George Zdrinca. 1982 – I bought the first Japanese street bike: Yamaha XS400. 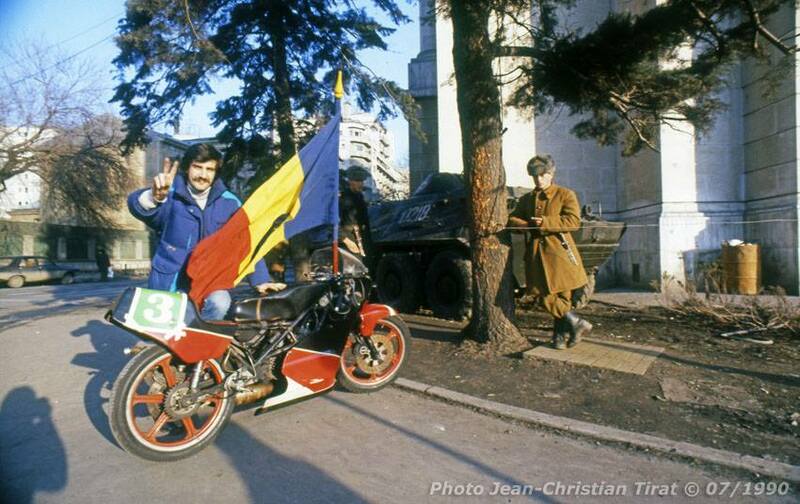 1984 – the first international racing season for the Romanian National team in the Friendship Cup, the communist countries competition, gathering teams of the 4 best riders from 8 countries. Motorcycle used: engine Aermacchi Harley-Davidson 250 on Yamaha chassis. 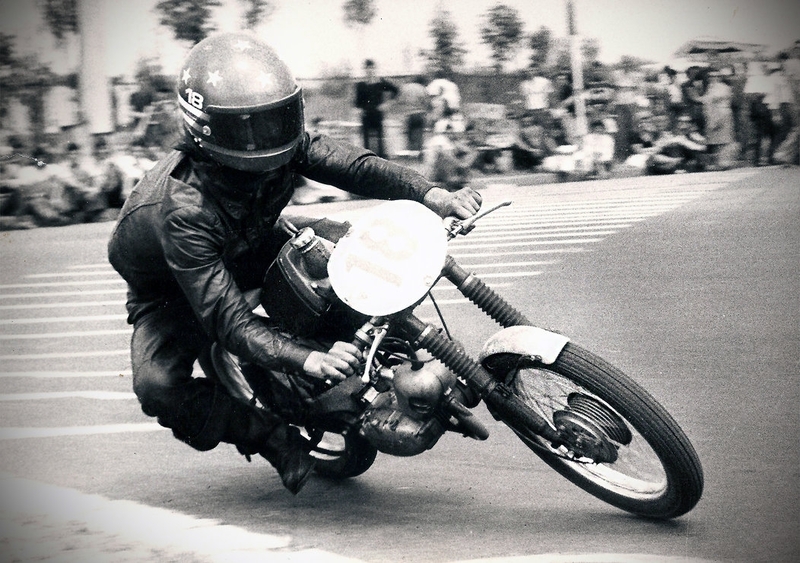 – 4th place – 250cc special (2 cyl.) 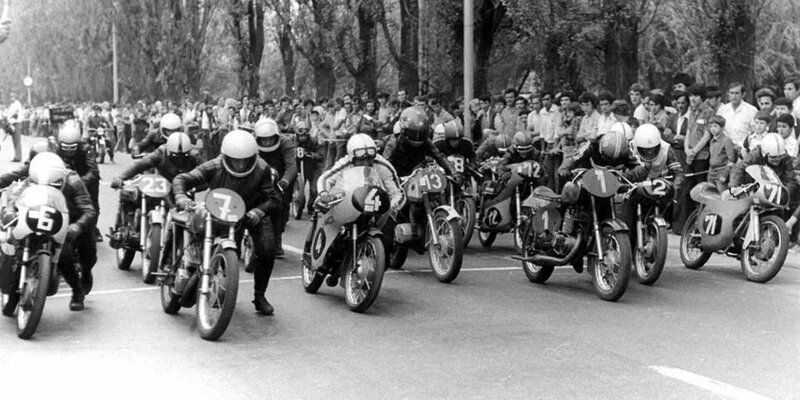 – Bihorul Cup International, with Yamaha RD250. – 3rd place – 250cc teams, with the Romanian team in Havana, Cuba, the Friendship Cup. Motorcycles used: Yamaha YZ125 engine / RD125 chassis and CZ250 engine / Junghans chassis. 1989 – 24 races (out of which 6 International), 5 wins at 125cc, 6 wins at 250cc, out of 19 races ran in Romania, 1 technical DNF, the rest finished on the podium. 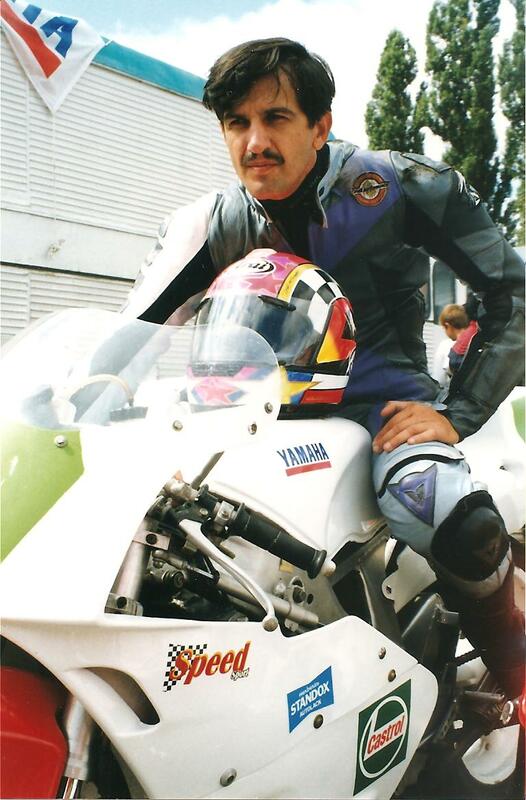 1991 – together with Vlad Haralambie, the 50cc National Champion, I established the first private motorcycle racing club in Romania – Moto Club Number One, which became the Yamaha Racing Team Romania in 1996. – I stopped the production of fiberglass items that I developed in 1976, having produced in the meantime over 1,000 helmets and 1,000 fairings. 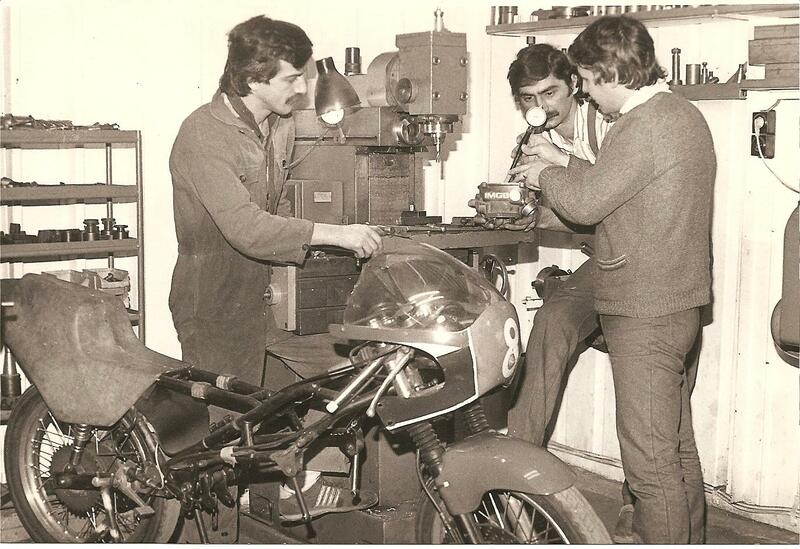 1992 – I opened the first Moto Market shop, specialized in motorcycles and accessories in Bucharest, located at the intersection of Traian St. and Pache Protopopescu Ave.
1993 – after a break of 2 years I returned to the starting grid, with Team Manager Dragoș Panaitescu, Master of Sports, 500cc double Romanian Champion. Motorcycle used: Yamaha YZ250 ’93 engine / TZR250 chassis. The year was marked by a great achievement: after long negotiations conducted in Romania and Greece, we convinced Yamaha to open its official business in Romania, Yahama requesting that me to close my own shop and run the Yamaha business. 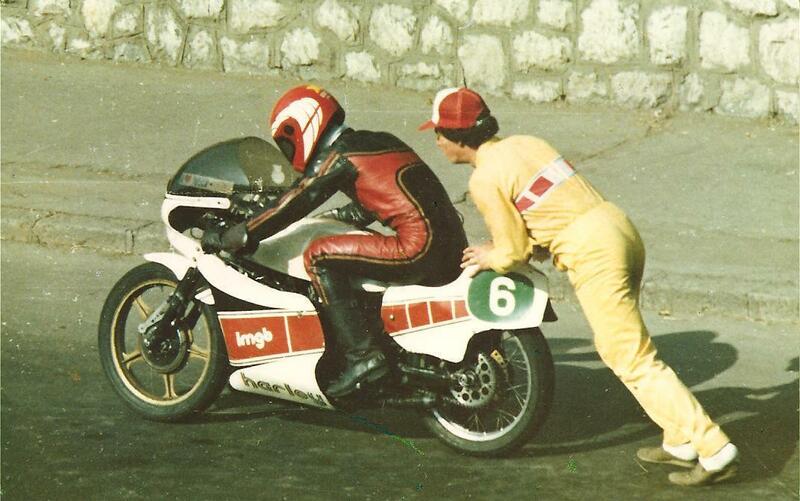 Recently established in Romania, Alan Palmer, father of the famous rider Chris Palmer, 6 times winner of the Isle of Man TT race, became President of the Yamaha Motor Team Romania and brought two Honda RS125 for the team. – winning the 1st and 2nd place in two races at 125cc class on a Honda RS125 Palmer motorcycle. 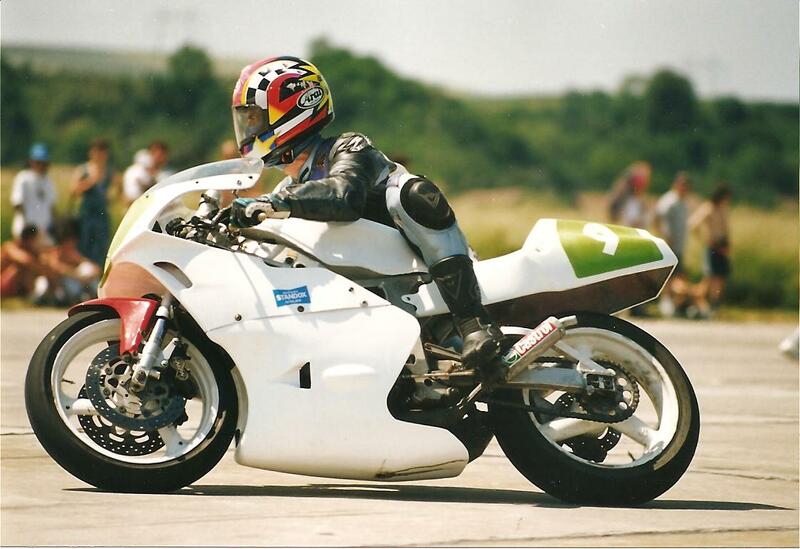 1996 – 3rd place – SBK – Romanian National Championship, on a Yamaha FZR750 OW01. – I received a two days’ visit from the President of Yamaha Motor Europe, Hasegawa-san, who subsequently contacted the management of Yamaha Greece and Arai Yamaha Motor Europe in order to support the Yamaha Motor Team Romania. 1998 – the last racing year for the seniors of the team (Vlad, Tase and me). – we founded the Yamaha children’s team, with which we won 3 consecutive junior National Championships. – winning the Romanian Motorcycle Federation Cup with the Yamaha Racing Team Romania – Astra. 2003 – I opened Market Moto 2, in the Piața Romană subway station, specialized in selling equipment (motor clothing and footwear), which was inaugurated by Mr. Călin Popescu Tăriceanu. – the Moto Market company became the Romanian distributor for Hepco & Becker (luggage and protection systems), Hyperpro (shock absorbers and components), Highway Hawk (custom accessories), CMS (helmets), IRIS (chains). – Univers Moto magazine (Romanian version of Motorrad) was launched, with which I worked from the beginning, making moto tests and writing articles. – Moto TT School started its activity, this being the first professional motor school, equipped with new Yamaha motorcycles, full protection gear and entirely new teaching methods. From the first months, the school was recognized as being the best in the field, at a time when all the other schools had Minsk and CZ bikes. 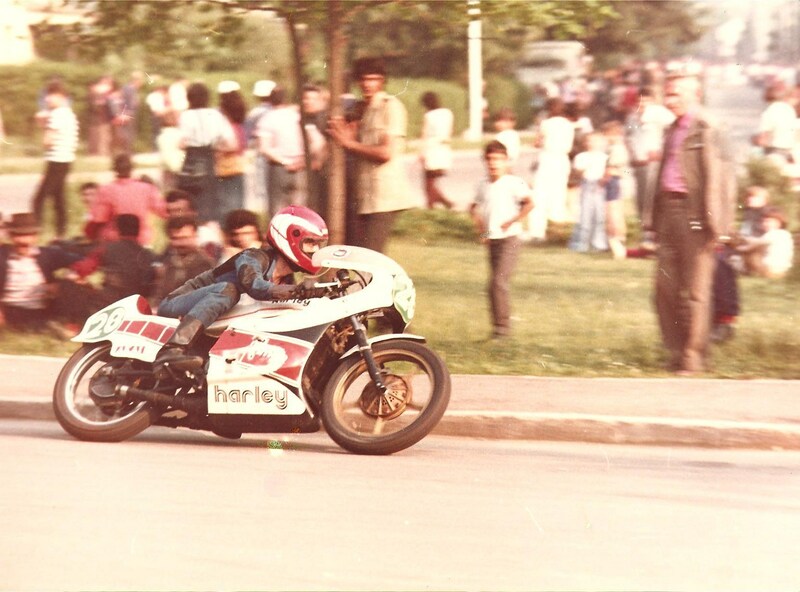 The school office was located on Iuliu Maniu Boulevard and Moto TT School became the most powerful Yamaha dealer in Romania, until 2008, when the school ceased its activity. – Moto Market won the first place in the national top of private companies selling bikes and accessories. – I attended a course in Amsterdam at the Harley-Davidson University, a business simulation (Red Line Simulation H-D) and I won this course with my team. 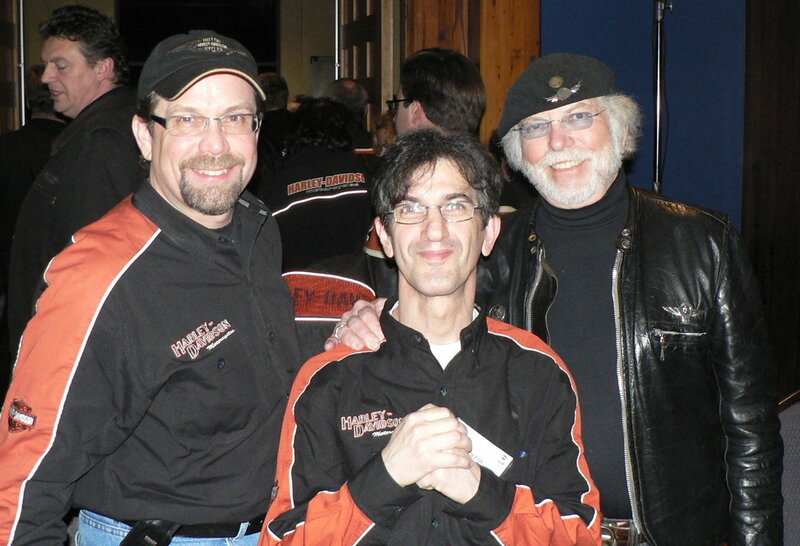 2008 – I attended courses in the Harley-Davidson University in San Antonio, Texas, where I met Willie G. Davidson, the Harley-Davidson Motor Co. Vice-President. 2010 – I took part in the introduction to the new MV Agusta F4 model, where I was invited by President Claudio Castiglioni, and there I met one of my idols, Giacomo Agostini, 15 times World Champion and his former colleague in the MV Agusta and Yamaha teams, Phil Read, 7 times World Champion. 2011 – the Carpați company signed a dealer contract with Honda, and for a year it was the only authorized Honda dealer in Romania. Thus, I had to lead 3 separate showrooms: MV Agusta & Cagiva, Honda, Lifan and 2 service stations. 2012 – I received a visit from the President of the Honda Trading Japan, Shigeru Takagi. – I attended the presentation of the new MV Agusta F3 model, in the presence of the company’s new President, Giovanni Castiglioni and its new CEO, Massino Bordi, no other than Mr. Desmodromic. – I attended a several days’ training for the shock absorbers’ settings in the Öhlins’ Training Center, near the Nürburgring circuit. 2013 – I left Dageco-Carpați to deal more with my own business, Moto Market, according to the clients’ requests, which meant a higher emphasis on online shopping. And, since 40 years have passed since bikes and everything related to them became my main passion, there had to appear a motorcycling blog, where all these years’ stories would find their place.